When we first moved to Oregon from Los Angeles in 2006, I was thrilled to be living in the world of local, organic, sustainable food. 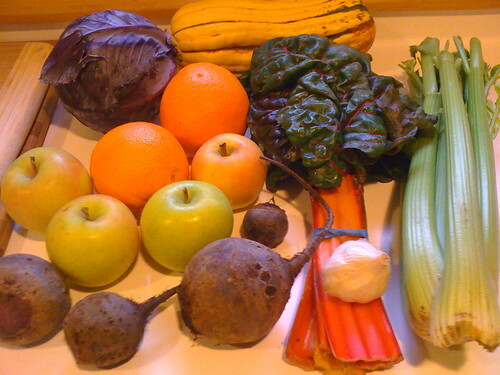 As any good new Oregon hippies should, we quickly signed up for a Community Supported Agriculture (CSA) subscription. In a nutshell, we enrolled with a local organic farm to receive weekly shares of their produce for a season. We learned about lots of fun new vegetables and I taught myself a lot about how to cook, but the box was huge and we wound up wasting a lot since we were new in town and didn't know anyone to share it with. Fast-forward a few years, and I started thinking about doing it again. 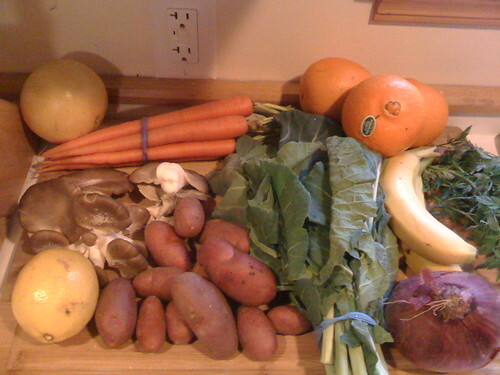 I even added "Subscribe to a CSA for one season with no wastefulness (i.e. use or share everything)" to my 101 in 1001 list. My friend Bonnie was all raves about Good Food Easy, so I did a bit of research. It sounded perfect: they seem to be the only farm in the area that offers shares through the winter, but more importantly, they offer small, medium, and large shares to avoid wastefulness! I was sold. When I found out that they sometimes include pickles, sauerkraut, and kimchee from the licensed kitchen on their farm, I certainly needed no more convincing. Oh, and you can get their eggs too! The other great thing about Good Food Easy is that, after the 4-week minimum subscription, you can subscribe to as many weeks as you'd like (the other one we did required an entire season). We got our 3rd small share last week. I never really had a reason to look forward to Thursdays before, and now it's quickly becoming my favorite day of the week! Along with the CSA newsletter, the farm owners send recipes and explanations of potenially unfamiliar vegetables via email each week. I'm going to start blogging about our weekly shares and what I do with them... I can't believe I didn't think of that already! 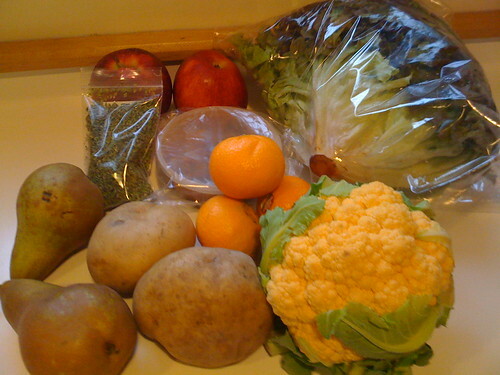 Good Food Easy also contracts with organic distributors during the winter to include produce (i.e. citrus fruit) that's not necessarily local in the shares. I highly recommend looking into a CSA subscription. What could be bad about having a ready supply of healthy food while supporting a local farm?